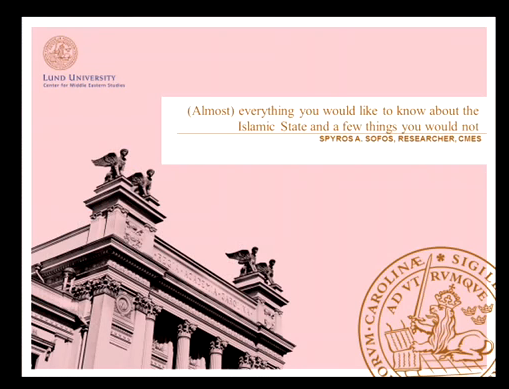 This is the video of a public talk given at Lund University by Spyros Sofos and Michael Degerald on 12 November 2015. Michael speaks first and outlines changes in modern Middle East history and global history more broadly that help us understand the emergence of the Islamic State. Spyros follows this and builds on Michael’s historical outline with a synopsis of his research on the contemporary dimensions of the Islamic State.